The Cricket Associations of China, Hong Kong, Japan and Korea have entered into an agreement to contest a biennial East Asia Cup Competition. Japan will host the first Men’s tournament in Sano, the home of Japanese Cricket from 3-6 November 2016 where the format will be Twenty20. The inaugural Men’s competition will be for the representative teams of each country, excluding Hong Kong who will send their all-Chinese Dragons side. 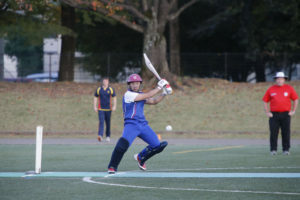 The purpose of the East Asia Cup is to increase the opportunities for the national teams in the region, none of whom feature in the ICC World Cricket League. CEO of the Japan Cricket Association Naoki Miyaji said: “We are really excited about formalising this agreement between the four countries. The 2017 edition of the tournament will be for the full women’s teams and is due to be hosted by Hong Kong. In both formats the teams will all play each other in a round robin before a 3rd place playoff and final. In every tournament there will be recognition for the best performing batsman and bowler as well as a “Most Valuable Player” award. Hosting will be shared around the region with each team hosting one tournament in a four-year cycle. 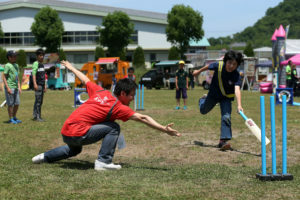 It is hoped this will increase interest in the sport as well as raise standards among the participating countries.